Education opens doors, and if you’re finding yourself in a job you don’t love, education could very well open the door to a better career. Whether you’re in the wrong field or you simply lack the modern skill set that comes with a fresh degree, SNHU’s Online degree programs offer hundreds (more than 200, in fact) of degree options that could help you get a better job across dozens of fields. Let’s take a look at a few of the degree programs that open doors to the biggest career opportunities, according to Bureau of Labor Statistics data on job growth and median salaries. We live in an increasingly technological world, from the apps on our phones to the smart TVs we use to watch our favorite shows to the technology inside our cars. For every helpful computer function, there’s a person who wrote that code and dozens of others who help keep the programs and servers running. The computer technology segment of the economy is projected to grow by 13 percent through 2026, one of the largest increases. Healthcare is by far the fastest growing segment of the U.S. economy, as the population ages and more people need regular doctor, hospital and other healthcare provider visits. Jobs in this area are projected to grow by 21 percent through 2026, so those with a passion for healthcare and medicine would be smart to consider their educational options. With broad industry growth in business and professional services of about 11 percent through 2026, degrees related to business will be in demand and allow individuals to build skills that apply not only directly in that industry but also prepare them to work in virtually any other sector. As the second-fastest growing broad employment sector, jobs in education and related services are projected to surge by 14 percent by 2026. Whether working in the classroom or educational administration, an education degree can help an individual modernize their skill set to get that perfect job. 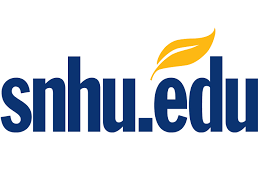 SNHU’s expansive online degree catalog covers some of the fastest-growing and lucrative jobs in the entire American economy. Even if your ideal job wasn’t included on this list, it’s rarely a mistake to better yourself and enhance your education with a new degree. Jennifer L. Gaskin is an Indiana-based writer & contributing Jobs Editor for BusinessStudent.com. She began her professional career as a do-it-all utility player at a small daily newspaper and has been frequently honored for excellence in journalism. She currently shares her office space with a surprisingly quiet beagle named Baxter.